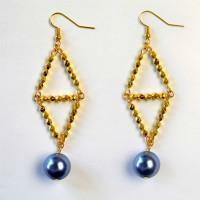 This easy DIY project is about a pair of acrylic bead drop earrings. 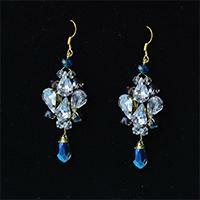 Hope you like the acrylic bead drop earrings and enjoy the DIY process. Do you like ear cuff? 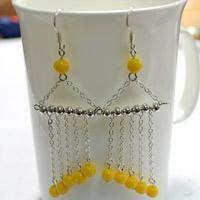 Ear cuff is different with dangle earrings or ear stud. It is very cool. 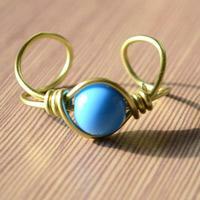 And this tutorial will teach you to make simple ear cuff. 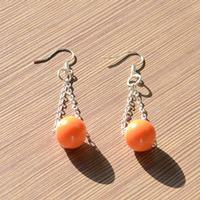 Do you have earrings made with acrylic beads? It doesn’t matter if you don’t have one. 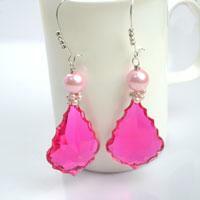 This tutorial will teach you to make acrylic earrings. This post is about a mothers day jewelry gifts idea, in other words it is also a tutorial about how to make acrylic jewelry. 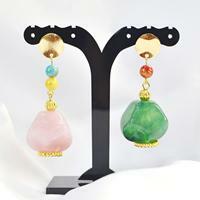 The pair of earrings is lightweight, stunning and eye-catching!